So we're back from the land of beautiful beaches and the home of nerd prom. 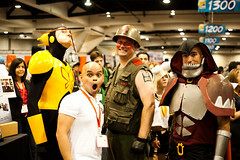 This year's Comic-Con International was a good time for me. I got to see a lot of old friends and made quite a few new friends such as the very talented Ming Doyle and my new drinking buddy Sean Gordon Murphy. Ah, fond memories and embarrassing stories to tell for years to come. I would go on and link you all to more awesome people, but that would feel like name dropping and showing off. We all know I like to show off to people in person, not over the internet, haha. I'm not much for the buying of exclusive toys and panels. I just really hate standing in any lines, so I avoid both activities at all costs. It was a really nice escape from the every day, and I'm glad I went. 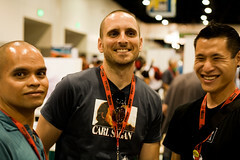 I'm sure Geoff, Axel and Eric will have more to add in regards to SDCC '09. I'll keep it short and sweet. Thanks to the Lightbox crew who were able to make it out to the show. Thanks to all the good friends who chatted me up and let me linger at their tables/booths way past my welcome, and thanks for all the free swag, lol. Now here are some pictures for you to enjoy. Eric, Sean and me laughing really hard at something. The Monarch, Eric, Sgt. Hatred and Baron Underbheit. What is this an image for? How do you get one? 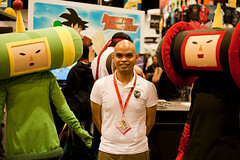 Find us at SDCC '09, ask nicely and be rewarded. 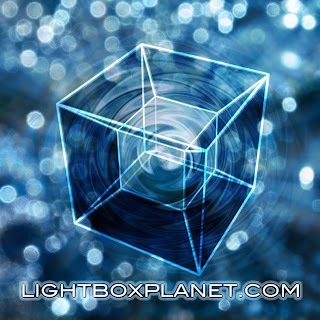 I would like to formally welcome you to the official blog of Lightbox! My name is Jonathan Tsuei, but you can call me Jon. So, who are we and why should you care? Well, Lightbox is a collective of illustrators, desginers and writers dedicated to the art of storytelling. "Yeah, ok Jon, but what does that mean?" It means that we will be releasing our own creator owned projects in different forms of entertainment media. Some of these projects will be in print form, some in digital form, and others will be in other formats. I can't give away all our secrets now can I? We came together for one main purpose; to tell the kind of stories that inspire us with the hope that these stories would inspire others. Here's what you can expect from our blog. This is the first place you'll here about all our projects. You'll see preview and behind the scenes art from our up and coming projects. 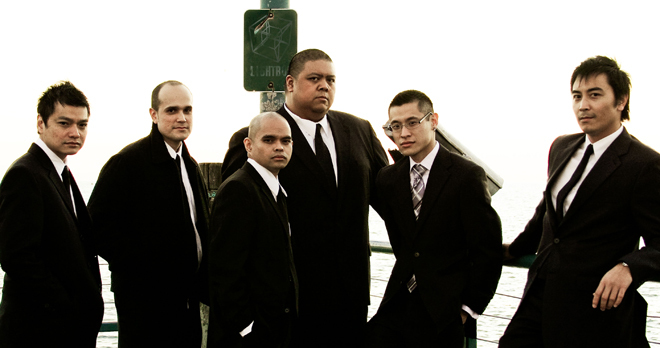 You'll get the lowdown on our appearances, giveaways, events and any news pertaining to the six of us. Those of you who have looked around the blog a bit probably already noticed that most of us have our own personal blogs, but anything pertaining to the entity that is Lightbox will be posted here before it appears elsewhere. Over the course of the next couple of weeks you'll get introductions to our members and some samples of what our illustrators and designers can do. Will their skills blow you away? Oh hell yes it will! Don't take my word for it though. Tune in and you'll see for yourself. Comic-con International is coming up and our very own Eric Canete will have a table in artist alley where you can purchase PREMIER[e], INT[e]RMISSION and original art. Some of us will also be in attendance, floating around the showroom floor. If you run into us, please ask about our Comic-con freebie. Why yes, I most certainly did. 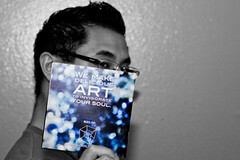 Find a member of Lightbox at the big show, ask nicely and the freebie will be yours. 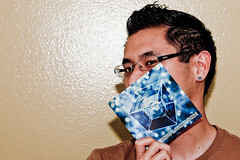 If you are one of the lucky few to get the freebie make sure to thank Geoff Ong personally. He clocked in some sleepless nights to make sure the giveaway was a high quality product for you all. Thank you, Geoff! Lastly, you'll hear more about our projects that are slated to release in 2010; a graphic novel written by me and drawn by Eric Canete, a graphic novel written by Geoff Ong and drawn by Axel Ortiz, a special project drawn by Jojo Aguilar with writing assists by me and a story told in sequential art drawn by Jonard Soriano and written by me. Welcome to the Official Lightbox Blog. We hope you enjoy your stay.